Again firmly rooted in Leonard Talmy's Cognitive Semantics, this new study moves beyond the analysis of single schematic systems in language contributing to the linguistic task of conceptual integration. 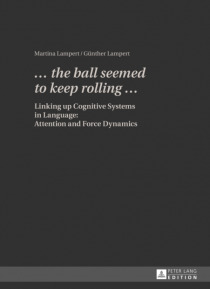 It investigates for the first time effects of linking up Force Dynamics, a conceptual category generalizing over the traditional notion of the causative, and the Attention system of language, as d… etailed in Talmy's most recent extended draft version. To accommodate the conceptual and formal complexities involved at the interface of Attention, Force Dynamics, and Cognitive State and to allow for an appropriate degree of fine-grainedness the analytical framework affords, the exposition has been constrained to the golf scenario, where forces are at work in the physical and sociodynamic domains.